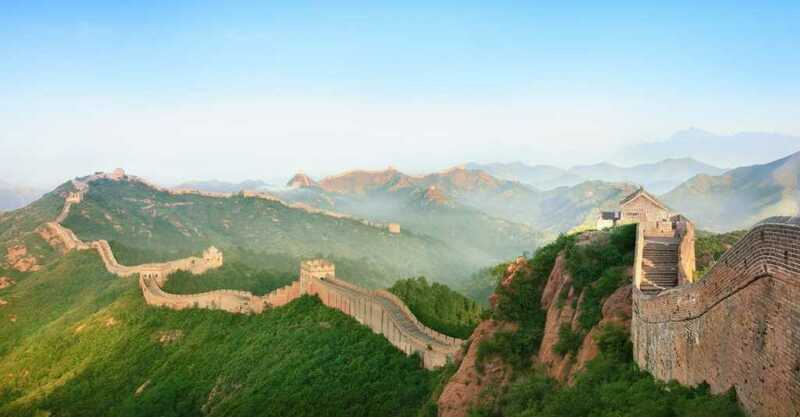 What a Chinese Wall is, why investment banks use in them, and how they work. In finance, a Chinese Wall (or a Wall of China) is a virtual information barrier erected between those who have material, non-public information and those who don’t, to prevent conflicts of interest. Below is an example of how a bank uses a Chinese Wall policy to comply with securities regulation. Investment bankers in possession of material, non-public information concerning a publicly-traded company are strictly prohibited from discussing any such information with individuals who do not have a need to know such information for the purpose of servicing the client that provided the information to the bank. A bank’s information barriers are designed to properly control the flow of confidential information from one part of the bank to another, or from one bank, or part of the bank, to any other business unit within the bank. Generally, only those bank employees who are directly involved in servicing the client, or who are necessary participants in the senior management and due diligence processes of an investment banking transaction, may be brought “over the wall”. Under some circumstances, investment bankers may be permitted to disclose material, nonpublic information to employees in the Credit Capital Markets, Commercial BankingCommercial Banking Career ProfileA Commercial Banking career path is providing clients with credit products, term loans, revolving lines of credit, syndicated facilities, cash management, Equity ResearchEquity Research AnalystAn equity research analyst provides research coverage of public companies and distributes that research to clients. We cover analyst salary, job description and Risk Management departments for valid business purposes in connection with a particular investment banking transaction. However, this can occur only in limited circumstances and only in consultation with representatives from the Compliance Department and, in the case of sharing information with a research analyst, only with the prior approval of the Head of Research. Depending upon the significance of the information and the context in which it will be used, Compliance may recommend restrictions on the normal activities of the recipient of such information. Particular restraint should always be exercised with respect to the transmission of information (such as long-term corporate projections) which is not likely to become public during the course of an investment banking assignment and which may inhibit the ability of the recipient to engage in normal business activities (including personal trading) once the investment banking assignment is completed. Finally, when investment bankers have been engaged in respect to an unannounced potential transaction, they should remind the client’s officers that they should not provide any confidential information to any bank employee (including, in particular, research analysts and employees in Institutional Equities Sales and TradingSales and Trading Career ProfileThe sales & trading division (S&T) of an investment bank helps mutual funds, hedge funds, pension funds, etc. facilitate equities transactions (buy/sell). A career in sales & trading can be extremely strenuous with a very fast paced environment. The competition for positions is intense, compensation can be very high,) who has not been brought over the wall with respect to the transaction. Certain persons (such as senior members of a bank’s management, Internal Audit, Corporate Security, Legal, Compliance and Risk Management) team will typically be “above the wall”. Persons who are above the wall may have access to material non-public information on both sides of the information barriers. The usual procedural safeguards of an information barrier, also known as a “Chinese Wall”, do not restrict access to such information and the recipient must be particularly careful to avoid improper use or disclosure of non-public information, particularly to the employees in the Institutional Equities and Research departments. In virtually all cases, persons who are “above the wall” are precluded from having any involvement in advising the client in connection with the particular transaction. However, after consultation with Compliance, persons who are above the wall may play a senior management and/or consulting role with more than one deal team if the bank’s conflicts are properly managed. Chinese Walls are an important part of investment banking best practices and compliance.